You'll get even more room for at-home, total-body fitness with our newest 4.6m Fastlane Pools Fitness System. With no jetted seats and a wider exercise area, the E550 stands as the best swim spa on the market. 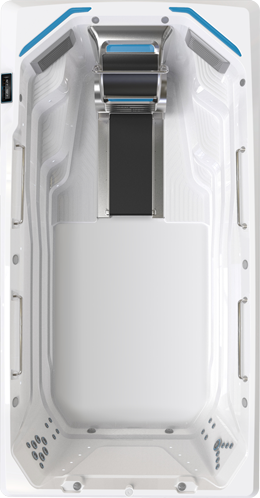 Like the E500, the E550 features the signature Fastlane Pools Swim Current; you'll enjoy the best swim in any swim spa on the market. And you can still unwind with 23 hydromassage jets, ergonomically positioned at back height.